Happy December! We are bringing it in with roaring winds and sheets of rain, while northern Maine is getting snow. Typical! I am having a hard time believing Christmas is at the end of the month. I haven't even started shopping yet. Thank goodness for 2 day shipping on Amazon! ha Anyone else a slacker shopper like me? Or do you get all your shopping done before December even starts? Some years I am on the ball, others, not so much. I have been more interested in baking lately, than shopping. Speaking of baking, scones have been my thing lately. (I have a few scone recipes to share with you soon.) Well, scones, among many other things. I have been on a roll trying a lot of new recipes lately. Some I was definitely skeptical about while mixing together, but they turned out surprisingly amazing. I love it when that happens. Other days, I can't seem to get out of my own way. Like being super clumsy and knocking everything over, or burning things because I got distracted. Life can be funny sometimes. These scones though, everything is right about them. I seem to be on a serious cranberry kick this year. I am sold on those little round things of tartness. 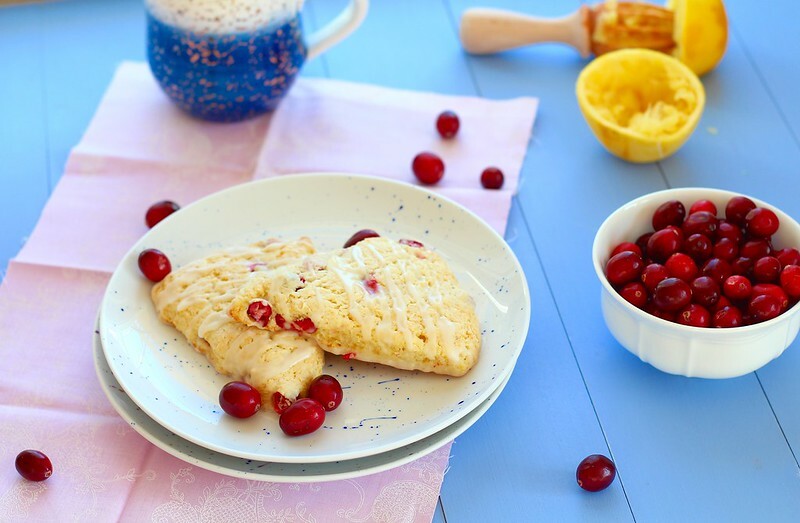 I have at least one more cranberry recipe to share with you, so make sure you have a stash on hand! (It may be a beverage that you don't want to miss.) 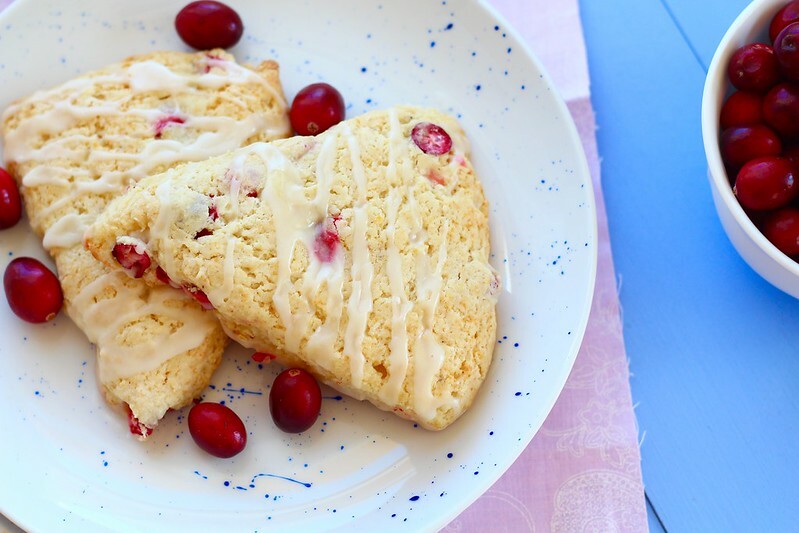 These scones are something that bring festivity to your kitchen. They are the perfect balance of sweet and slightly tart. The combination of cranberries and orange is perfection. 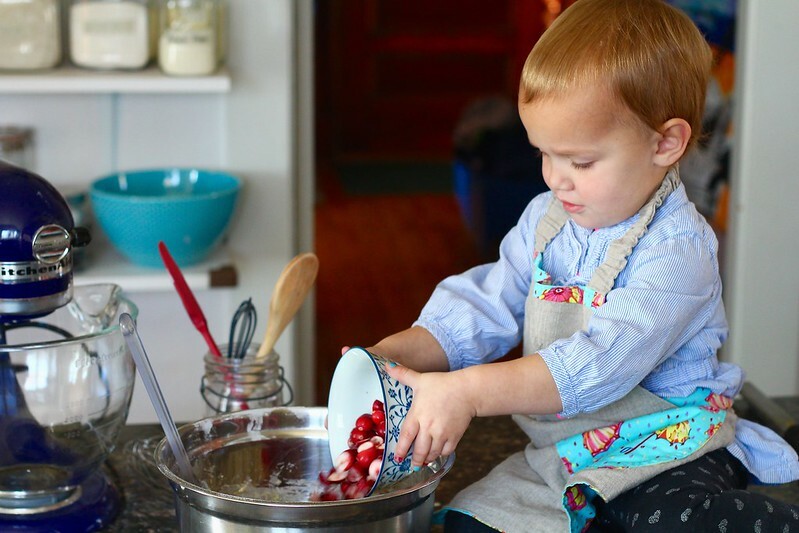 My youngest loved making these with me, so definitely a kid friendly recipe! 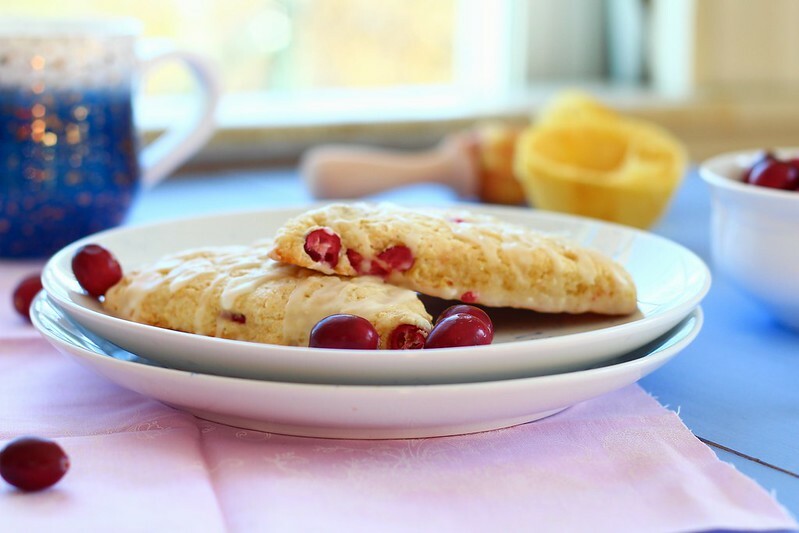 These are really simple scones, but yield the perfect treat with your cup of coffee in the morning. In the bowl of a food processor*, add the flour, baking power, salt and orange zest. Pulse a few times to mix together. Spread the butter pieces over the top of the flour. Process until the mixture resembles coarse meal. Transfer to a large bowl. In a large liquid measuring cup, whisk together the cream, orange juice, egg, sugar and vanilla extract. Mix into the flour mixture with a rubber spatula just until a rough dough is formed. Gently fold in the cranberries. Transfer the dough to a lightly floured surface. Gently knead a few times to incorporate any loose flour. Press into a 8-inch round. Cut into 8 triangles. 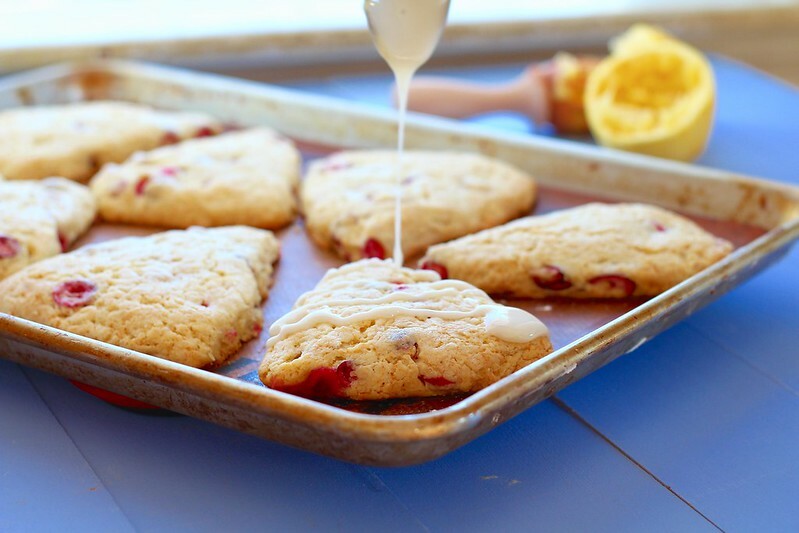 Place scones on the prepared baking sheet. Brush tops with the remaining 1 tablespoon heavy cream. Place in the preheated oven and bake for 20-25 minutes or until golden and cooked through. Remove from the oven and let cool while preparing the glaze. In a small bowl, whisk together the confectioners' sugar and juice from 1/2 an orange. Drizzle over warm scones and serve. Store, covered in the refrigerator. *If you don't have a food processor, cut the butter in the flour mixture with a pastry cutter or two knives. Proceed as directed.